Est. 2014: Gersh Drivers Education Program is for young adults ages 16 & up and is open to all abilities. The Gersh Driver Education Program teaches responsibility and safe driving habits to over 1,400 young adults each year. With locations in West Hempstead and Hauppauge, Gersh Drivers Education is the largest driving programs in New York. Our state of the art technology such as our driving simulator creates unique experiences for lasting impressions. 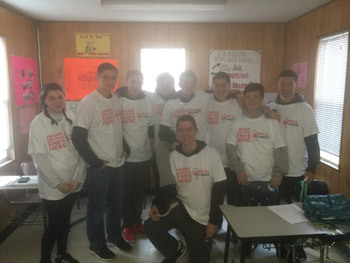 Our classes combine fun activities and informational segments to hold student attention while still imparting the values of safe driving habits. 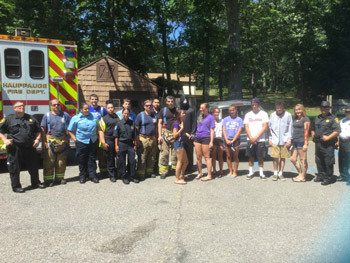 At Gersh Driver Education, we do our best to provide unique and enriching experiences for our students. 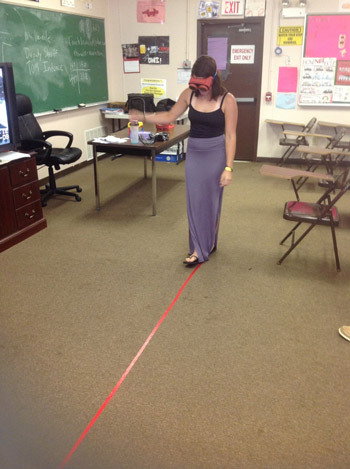 Seeing the chaos of the scene of an accident is very impactful for students. 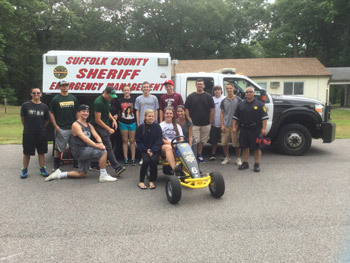 We partner with the Suffolk County Sheriff's office to recreate the scene of a drunk driving accident. This has proven to be so effective that we were featured on News 12 Long Island. Check out the following video to get a glimpse of what we offer. We will teach your child the correct way to drive so they have a better chance to pass their road test on the first try. 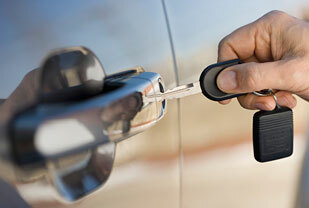 Although there are many reasons why a person may fail a road test, one of the most common is acquiring bad habits. Remember, to pass a road test you must drive like a new driver. This means they have to learn a lot of information that we parents may have forgotten over the years. That is not to say that they should not practice with their parents to get experience. As a matter of fact, NY State requires a minimum of 50 hours of driving time (including 15 hours after sunset) to take the road test. The Driver Education Program will only provide about 6 hours of actual driving time. 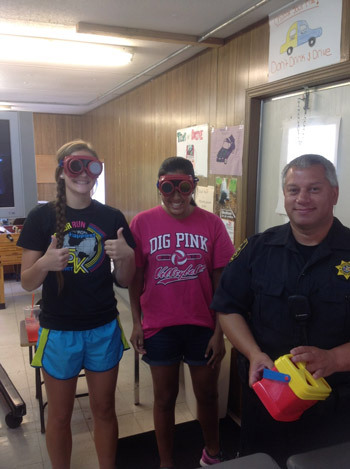 The Drivers Education program will show your child what they need to know to help them pass the road test. 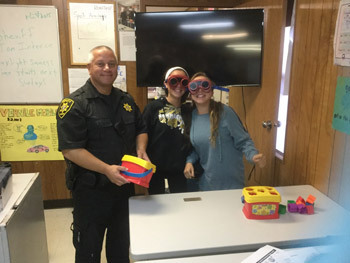 Our classes combine fun activities and informational segments to hold student attention while still imparting the values of safe driving habits. 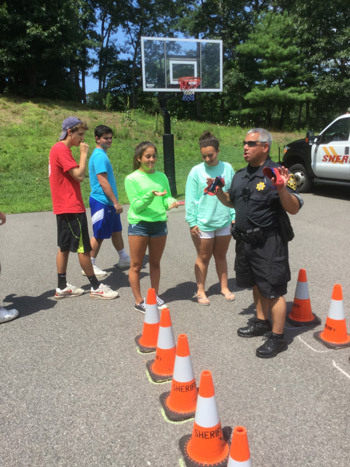 While attending one of our courses, students will get the opportunity to use a driving simulator while wearing drunk goggles and hear presentations from members of local agencies that have seen first hand the dangers of reckless driving.